St. Peter's, St. Joseph (Mont.) shake up Non-Public hierarchy: Just when you thought you had the NJSFC United Red Division figured out, St. Peter's Prep soundly defeated Bergen Catholic, 34-7, and St. Joseph (Mont.) downed DePaul, 24-17. Darren Cooper of The Record chronicled all the madness in his latest column. Winslow scores big win over Cherokee: In what has to be seen as an upset, Winslow Township beat the Chiefs, 34-14, led by senior QB Prince-Dru Bey, who went 14-of-23 for 213 yards and five passing touchdowns. Kevin Kolodziej of the Burlington County Times took it all in, as he watched the Chiefs drop their second straight game under new head coach Brian Glatz. Middletown South beats Manalapan at the buzzer: Eagles senior kicker Chris Kaldrovics admitted to Jerry Carino of the Asbury Park Press that he was nervous about attempting a 20-yard walk-off field goal, but he came through in the clutch. Kaldrovics drilled it, giving Middletown South a big win in a game where neither its offense nor that of the Braves was at its best. Cedar Grove, Hanover Park score 136 total points in wild showdown: NJ Advance Media's Jason Bernstein's stat sheet must have been eye-popping, as he covered the Panthers' 69-67 victory over Hanover Park. Panthers QB Mike Lever threw four touchdowns and 379 yards on 22-of-33 passing, while rushing for 182 yards and a score, as well. Piscataway downs GMC Red rival South Brunswick: Piscataway QB Joseph Hatcher's 271 yards and two touchdowns led the way in a 35-21 victory over the Vikings. Andy Mendlowicz of the Courier News saw it go down, noting that the no-quit Chiefs offense overcame a 21-19 deficit in the second half with an explosive, Hatcher-led offensive effort. Belleville looking much improved in 2-0 start: We're not getting carried away just yet, but it's worth noting that the Buccaneers under new head coach Jermain Johnson look energized after scoring more than 13 just once last year. As Mike Lamberti of NorthJersey.com notes, Belleville's 50-12 drubbing of Newark East Side resulted in its first 2-0 start in a decade. In their first two games, the Bucs have dropped 87 points. Williamstown beats Millville to start 3-0, drop ‘Bolts to 0-3: Williamstown won its third straight game to start the year, its defense performing another gem in holding Millville to just six points. Anthony V. Coppola of the Daily Journal chronicled the action in a game which seemed to run away from the struggling Thunderbolts in the second quarter when they fumbled away a scoring opportunity from the Williamstown 3-yard line. Tom Szieber can be reached by emailing tom@gridironnewjersey.com. 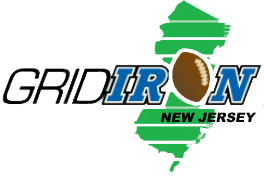 Contact us with questions, recommendations or suggestions at jon@gridironnewjersey.